Over the last 100 years, only a handful of legends have put their mark on a Wilson racket. Each made the world take notice with their play and positively impacted the game in their own way. Jack Kramer, Billie Jean King, Chris Evert, Roger Federer, and Serena Williams. The new Wilson Blade 104 Serena Williams Autograph is a tribute to Serena, beyond her incredible 22 grand slam singles titles, tied for most all time. As with the previous Blade models, the new Wilson Blade 104 Serena Williams Autograph racket features black and green colors, but this time, it’s matte black with a more vibrant green. The new frame is built with Wilson’s new Countervail technology as well. Compared to the other Blade models, the Blade 104 has the largest head size, 104 square inches, is a bit lighter at 10.8 ounces strung, and carries a lighter swingweight as well (318). With the 22mm beam, graphite basalt matrix composition, and 18×19 string pattern, the Blade 104 brings all the elements together. A light racket, easy and fast to swing, and great control with the denser string patten. It is also Sony Smart Tennis Sensor Ready. 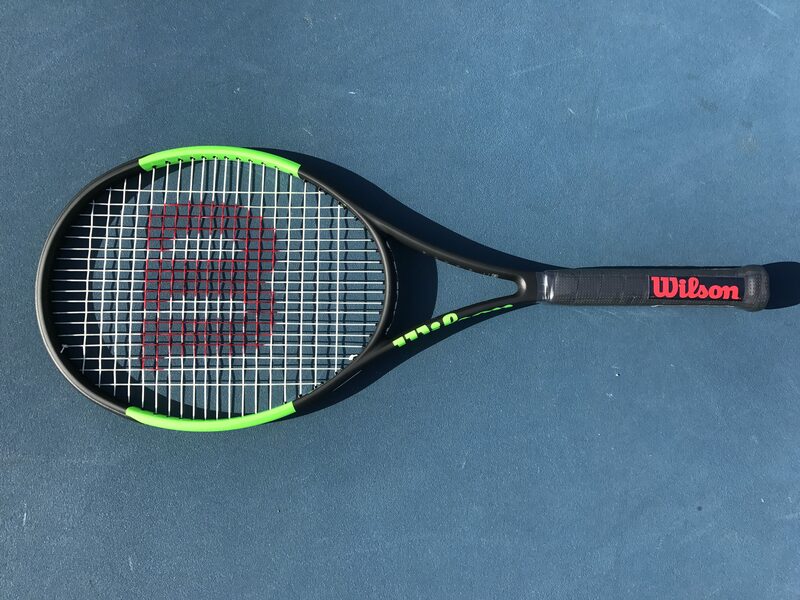 The Blade 104 Serena Williams Autograph racket is loaded with precise power. 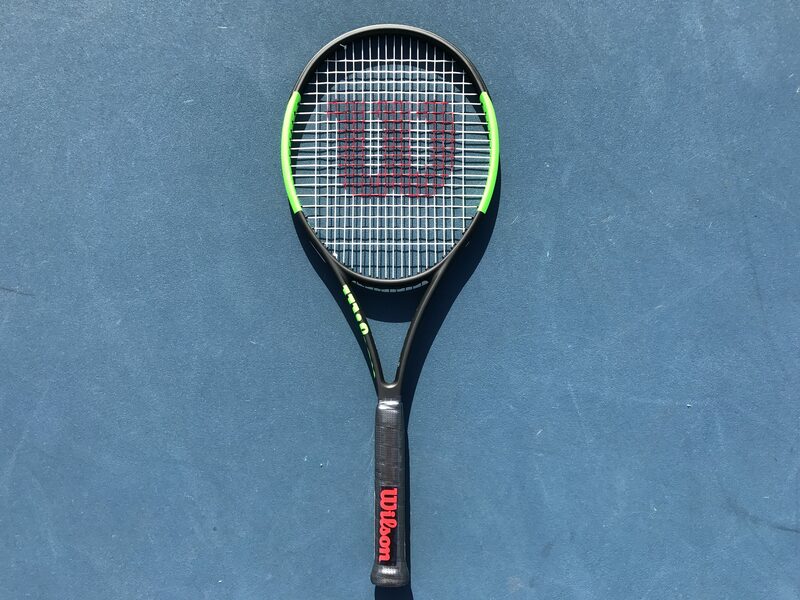 Previously, the Wilson Ultra 100 was a frame which I felt a lot of power with. The new Blade 104 hones that power, due to its denser 18×19 string pattern. Although it is light, it is not a flimsy racket. As with my play-test of the new Blade 98S, this frame feels firm all around with the new Countervail technology. There’s quite a bit of forgiveness in the Blade 104 as well. The large sweet spot supplies abundant power. Serving took a while to get accustomed to (coming from a nearly 13 ounce Pro Staff RF97), but forehands and backhands felt great, and it felt like the racket covered volleys with ease. Notably, it is more of a control oriented racket compared to Wilson’s other Burn and Ultra lines. The new Wilson Blade 104 Serena Williams Autograph racket is a great choice for anyone looking for a larger frame, power and precision, without sacrificing control. Packed with Countervail technology, it is available at online retailers, such as Tennis Warehouse, Tennis Express, and Midwest Sports.